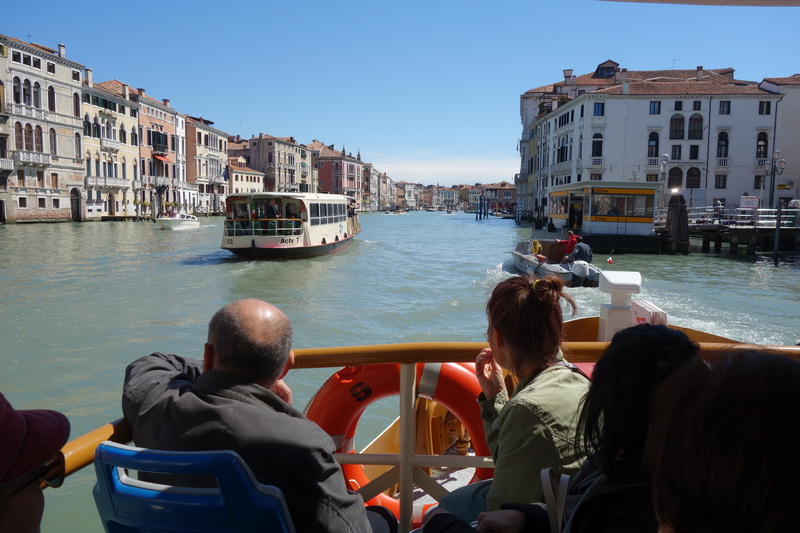 Cruising the Grand Canal on a vaporetto is relatively cheap…if you get the right kind of ticket for your purposes. Centuries-old former palaces crackle and peel away in the thick, briny air. Bottom floors of old merchants’ warehouses sit empty and still cling half-heartedly to their romantic patina of a time long past, slowly but beautifully decaying under the Venetian heat, humidity, and rising waters. As I glide down the canal on a slow vaporetto, each stop at a floating dock gives me more time to drink in the Venetian palette and to ponder its decadent history. If I were only traveling one stop on this public waterbus, the €7 ticket would be a rip-off. But taking this as a one-way trip of the entire Grand Canal becomes a bargain photo safari cruise of one of the most photogenic cities in all of Italy. Better yet, for €13 more, it’s a self-customized 24-hour hop-on-hop-off tour, saving you walking time, letting you get wander the islands of the lagoon as you please, and maximizing your sight-seeing. 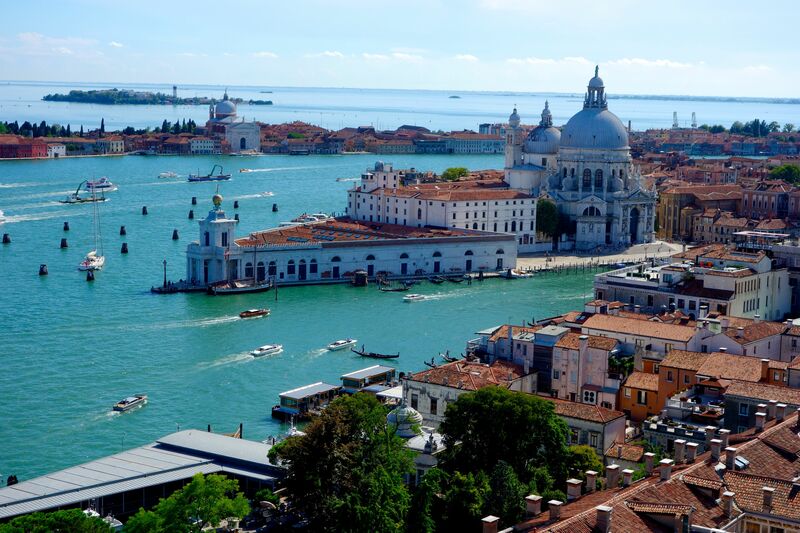 Venice (and its neighboring islands) can be notoriously expensive. Being an island whose main industry is tourism, all goods have to be brought in by boat. 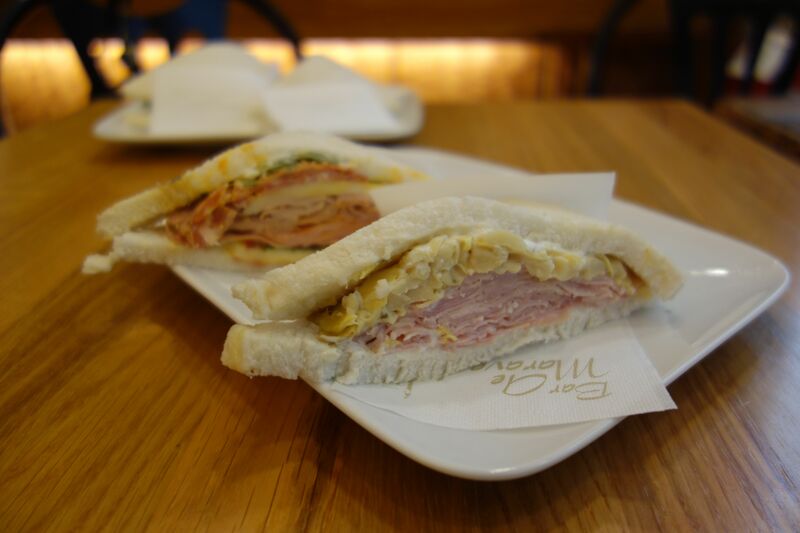 And that comes at a high price, which is unapologetically passed on to the consumer–locals and tourists alike. But if you make savvy choices that are of good value, you can have a richer and less touristy experience. 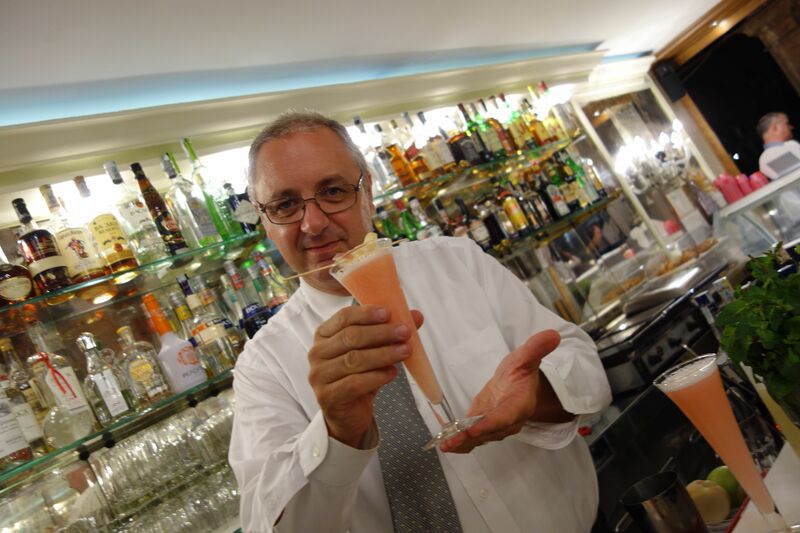 Massimo of Gran Caffè Lavena makes the best Bellinis in town. 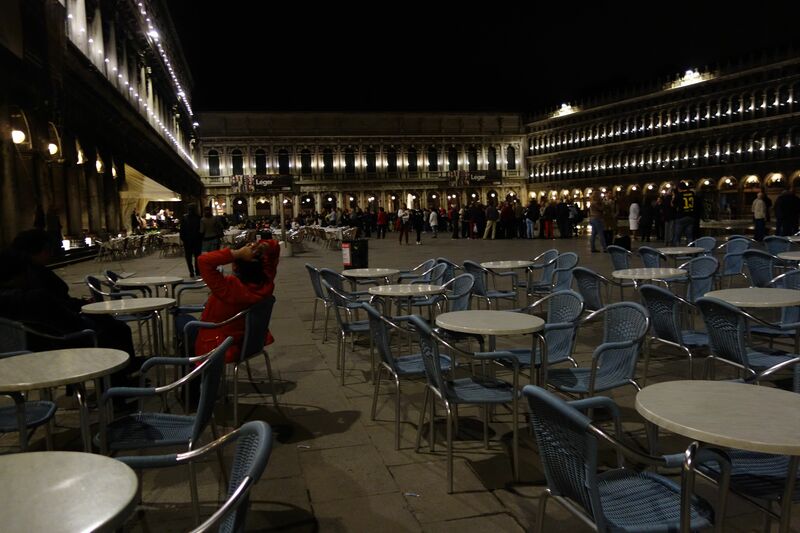 You can buy a drink to sit with the band, or stand and dance for free on the Piazza, or find a caffè that’s closed and sit without forking over a single Euro. Value is subjective. For me, I’ll gladly pay €12 for a fizzy, peachy Bellini at Gran Caffè Lavena…if that means I can sit on St. Mark’s Square for as long as I want, enjoying impeccable live music from three different quartets. It’s a tremendous value. For a less expensive Bellini without the view of the band, I order and stand at the bar and still get to hear the lovely tunes. But I can be even savvier by having an equally delightful yet free experience by standing beyond the caffè terraces, with room to dance with my favorite travel partner to the music that can be heard perfectly from any spot on the piazza. And when my dancin’ shoes start to ache, I look for the caffé that’s closed that evening and just sit in one of their many empty chairs. 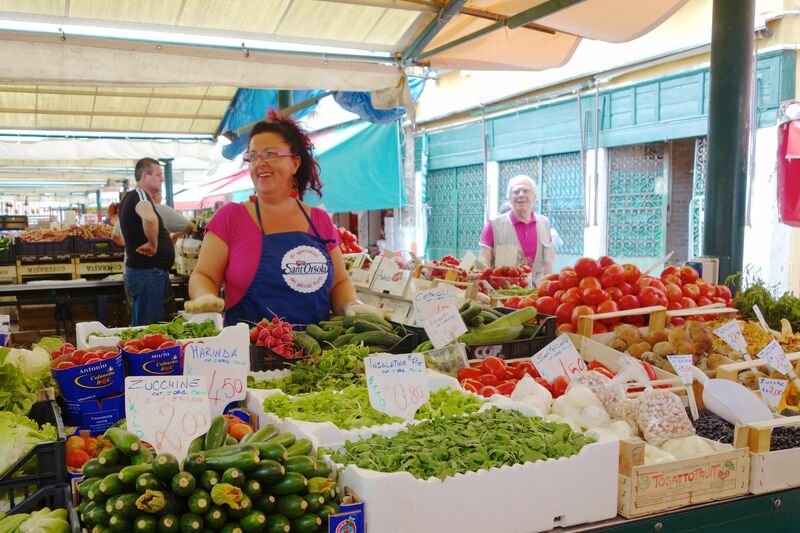 Make yourself an inexpensive lunch from fresh produce at the Rialto Market, and you’ll get to meet lively locals like this lady. 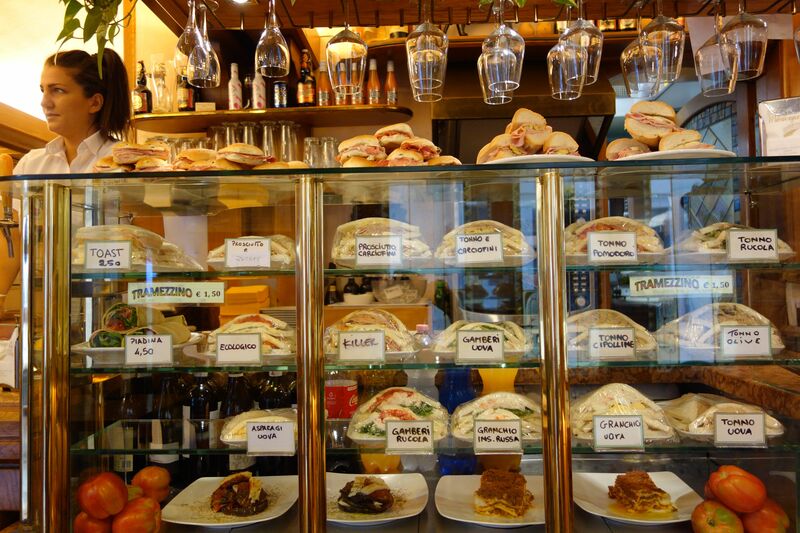 Restricting your visit to the areas around and in between Piazza San Marco and the Rialto Bridge can easily find you shelling out molto money, especially on food. With the exception of making a picnic lunch from the fresh produce at the Rialto Market, it’s challenging to find good quality for good value around those parts. So why not venture farther afield? So many tramazzini, so little time, so little room in my belly. For a quick and cheap bite, especially if you’re near the Accademia Museum, you can walk 200 yards to Calle de Toletta–with a few turns along the way–and pop into Bar al Maravege (one of my latest finds while doing research for the 2015 editions of the Rick Steves’ Italy and Venice guidebooks) for a tramezzino–an overstuffed, crustless, white bread sandwich. You can find this local favorite throughout the island, but this place is among the friendliest and the least expensive options. Don’t know what to get? Stand behind the locals, see what they get, point at the same thing, and say per favore with a smile. They’re plenty filling, and splitting a few different ones with your travel companions lets you sample several flavors for next to nothing. For lunch, I get two different tramezzini and a drink for less than €5. But value isn’t just about saving money. It’s about maximizing your precious time and experiencing the local culture, given the money you choose to spend. I maximize my €8 ticket by staying as long as I want at the top of the campanile, reducing the stress of jockeying for a good spot, and getting my “perfect shot”. Walking arm-in-arm with this 72-year-old nun back to her convent after Sunday mass was probably the 20 most precious minutes I’ve ever spent in Venice. Remember: there are no official time limits on church and museum visits. As long as you’re out by closing time, why not linger awhile? Take a few more minutes to get that perfect shot from the top of the campanile. Stay put in front of a Titian masterpiece and contemplate the colors, themes, and brushstrokes, and take time to imagine what society must have been like in his time. Attend a mass just to understand how important religion is (or isn’t) on this island. Talk with the nun who sits next to you, and help her walk back to her convent. You’ll gain so much not by necessarily spending money, but instead spending time and cultural interest. It’ll be one of the best travel investments you can make in Venice. 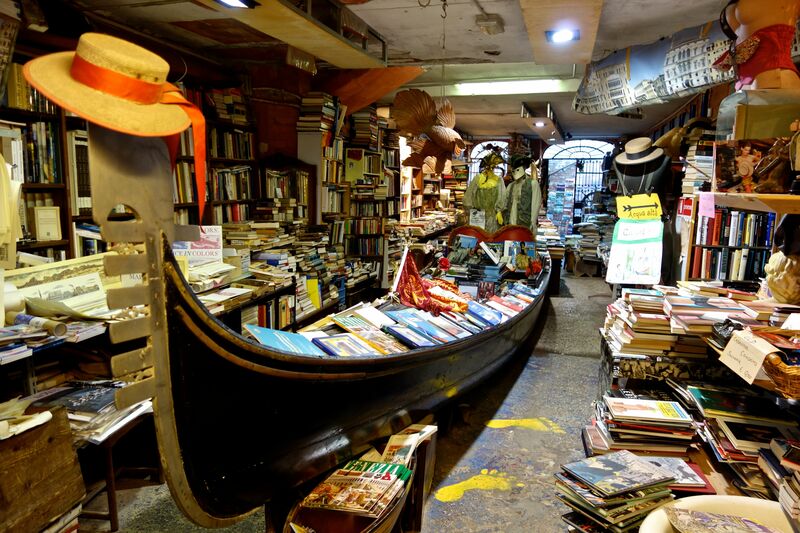 Boatfuls of book abound at the Acqua Alta Bookstore. A stairway to bibliophile heaven? 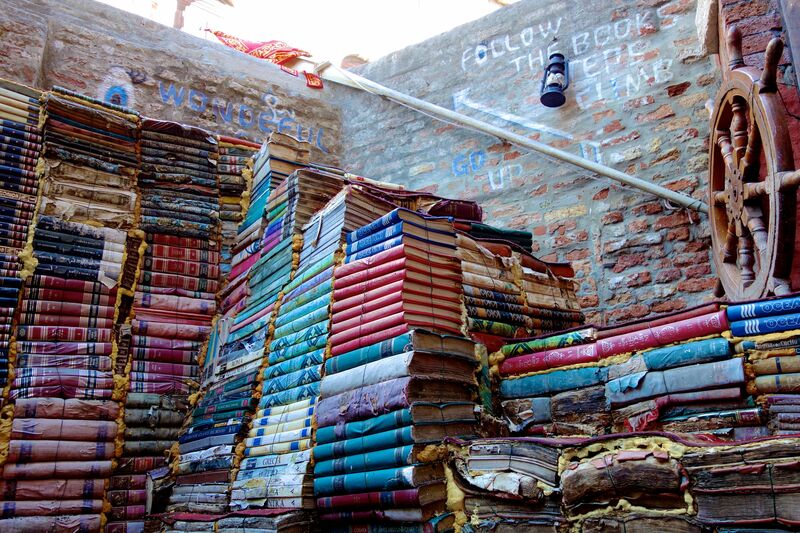 Well, at the very least it’s a book stairway to a great canal view. Need a souvenir fix? Make it a real local and inexpensive memory. Swing by the Acqua Alta Bookshop just off of Campo di Santa Maria Formosa. Run by the portly and jaunty Luigi, it’s stacked from floor to ceiling with new, second-, third-, and fourth-hand books, current calendars, postcards of the contemporary and antique variety, and virtually anything a bibliophile could want. There are literally boatloads of books you can hunt through, a stairway made of books that doesn’t lead quite to heaven but to a canal-view perch, and a tiny courtyard reading area for fanciful bookworms. Luigi speaks great English and is a chatty fellow. His feline friends who wander the shop are pretty friendly, too. On my last visit, I collected a dozen vintage engravings and prints of varying size and spent about €12. That combined with my memorable-to-me photos (some of which I’ve turned into canvas prints back home) and the delightful conversation I had with Luigi made for an afternoon well spent. 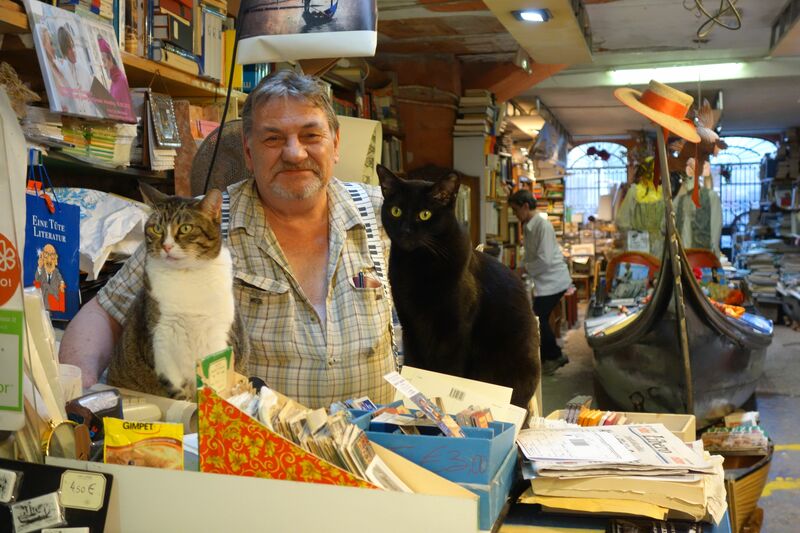 Meet Luigi, the owner of Acqua Alta Bookstore, and his feline friends. 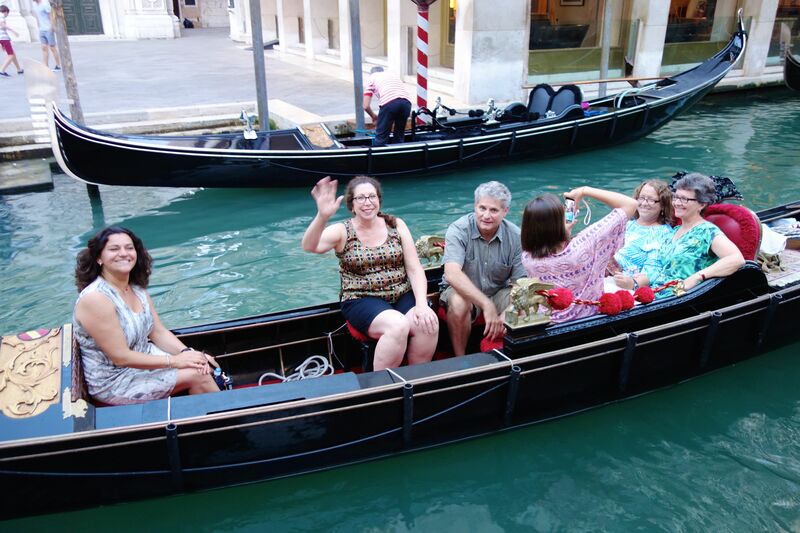 Save some money and share the moment with some new friends by convincing some people to take a gondola ride with you before 7pm. As for the quintessential Venetian experience, some would argue that riding a gondola is a tourist trap, but if it’s on your romantic bucket list, who’s to say it’s not worth it? What you can do is skip the €100 evening gondola and save about €20 by going before 7pm. Or make it even less expensive by convincing some strangers to share a boat with you. The total price is the same, whether you have two or six people. It may not be as romantic as a gondola just for two, but with the money you save, you can buy your partner some romantic roses…or jewelry…or Murano glass…or dinner, which might get you some romance in return. Now that’s value and totally worth it! A vacation is what you make of it. There’s no one right way to do it, but if value is what you’re looking for, think like a local or a smart traveler, figure out what’s important to you (time, culture, quality, savings, cultural experience, romance), and you’ll find plenty of opportunities to make your vacation a valuable and memorable trip of a lifetime. This article is both full of travel wisdom and takes me there with a captivating sense of place. Nicely done! Thank you, Rick. It means a lot to me that you say that. Can you still buy inexpensive embroidered handkerchiefs in Venice? I was there a gazillion years ago, but those were my favorite souvenirs. In retrospect, I wish I had bought a tablecloth too. Hi, Jennifer. I’m not sure about inexpensive. There certainly are embroidered handkerchiefs to be found on Venice, but if you have the opportunity, try taking the vaporetto out to Burano for hand-embroidered lace products. It’s a dying art, and I think it’s important to buy directly from the few women who are still carrying on the island’s tradition. Great article! Views I haven’t seen before! Thanks. Hi there! 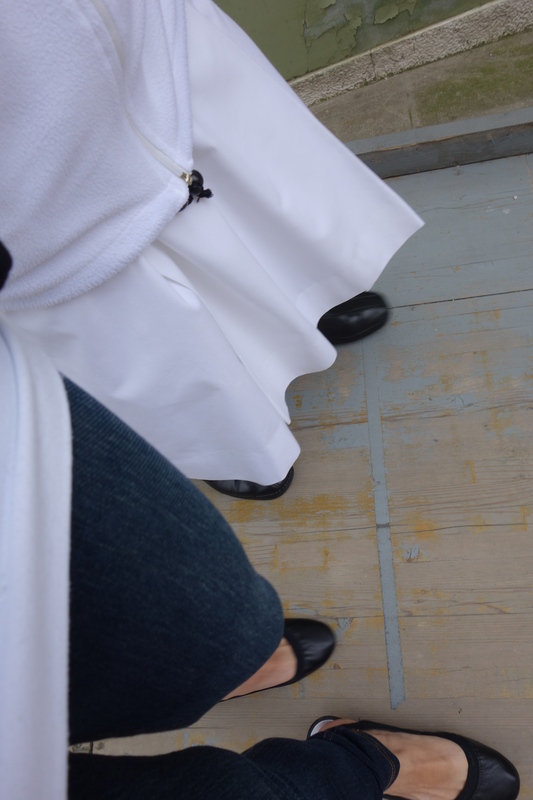 Would you mind saying what shoes you’re wearing in the photo with the nun? I try hard to only pack one pair of shoes and one sandal in order to save luggage space, so I’m constantly seeking the perfect comfy and cute pair! And funny coincidence- my next trip starts in Venice! Hi, Betsy! I don’t know the name of the shoe style, but the brand is AK (Anne Klein) Sport. They are one of the best pairs of travel shoes I’ve ever purchased, and in retrospect, I wish I had bought five of them. Buon viaggio! I’ll look for them – thanks so much!